Over 2.5 million people have gone through online events, courses, and trainings of The Tapping Solution. Now The Tapping Solution app is making it easier than ever before to use tapping to lower stress levels, reduce anxiety, get motivated, get better sleep, eliminate negative emotions & much more! Tapping has been recommended by top doctors, therapists, psychologists, personal development experts and mental health experts including Mark Hyman, M.D., Christianne Northrup, M.D., Wayne Dyer, Louise Hay, Cheryl Richardson, Ruth Buczynski, Ph.D., Dawson Church, Ph.D., Kris Carr, Gabrielle Bernstein, Eric Leskowitz, M.D., & many others! Tapping is already simple and easy to do and these Tapping Meditations make it effortless for anybody to follow along, tap along, and get quick and lasting results. There is a huge range of topics! 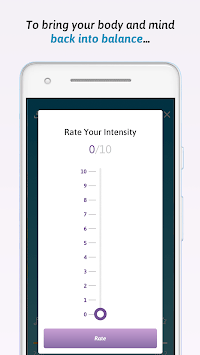 You can track your daily results with before and after measurements on each meditation to see your results! And you can track your daily streaks to keep the habit going. "Tapping is one of the most directed and powerful ways to peel away those layers of chronic stress. It's very effective for very difficult problems." "I've been Tapping for years and find it to be a pivotal tool in creating the life of my dreams. This technique is essential if you want to live your best life!" 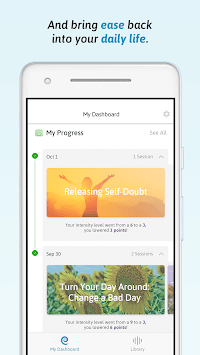 The Tapping Solution offers an auto-renewing monthly subscription at $11.99/month and an auto-renewing yearly subscription at $94.99 which allows you full access to all Tapping Meditations for as long as you maintain an active subscription. 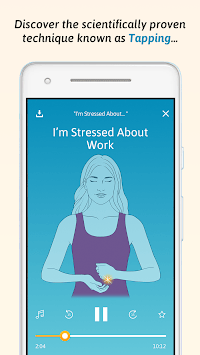 The Tapping Solution also offers a lifetime subscription, which is a one-time only payment of $399.99, giving you unlimited access to all of the tapping meditations inside the app forever. These prices are for United States customers. Pricing in other countries may vary and actual charges may be converted to your local currency depending on your country. Payment will be charged to the credit card connected to your Google Play account at the time of initial subscription purchase. Subscriptions automatically renew unless auto-renew is turned off at least 24-hours before the end of the current subscription period. Your account will be charged for renewal within 24 hours prior to the end of the current period end date, and the cost of the renewal will be listed. You can manage your subscription and auto-renewal can be turned off by going to My Subscriptions in Google Play after the purchase.